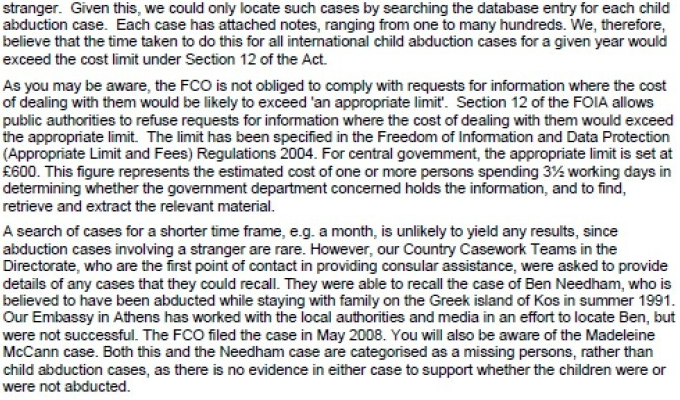 The FCO filed the case in May 2008 [Ben Needham]. You will also be aware of the Madeleine McCann case. Both this and the Needham case are categorised as a missing persons, rather than child abduction cases, as there is no evidence in either case to support whether the children were or were not abducted. C'est la lettre adressée au juge et lue devant la cour le 12.01.2010 pour justifier le refus de témoigner dans l'action consécutive au référé qui avait suspendu la vente du livre de Gonçalo Amaral. Compte tenu du fait qu'il est fait allusion, dans la lettre, à la possibilité de requérir le témoignage de JdF à travers une mission rogatoire, on se demande si la défense a été informée et, si oui, quand. Any potential evidence [testimonial] that I can give may be subject to confidentiality and Immunity of the English Public Interest. 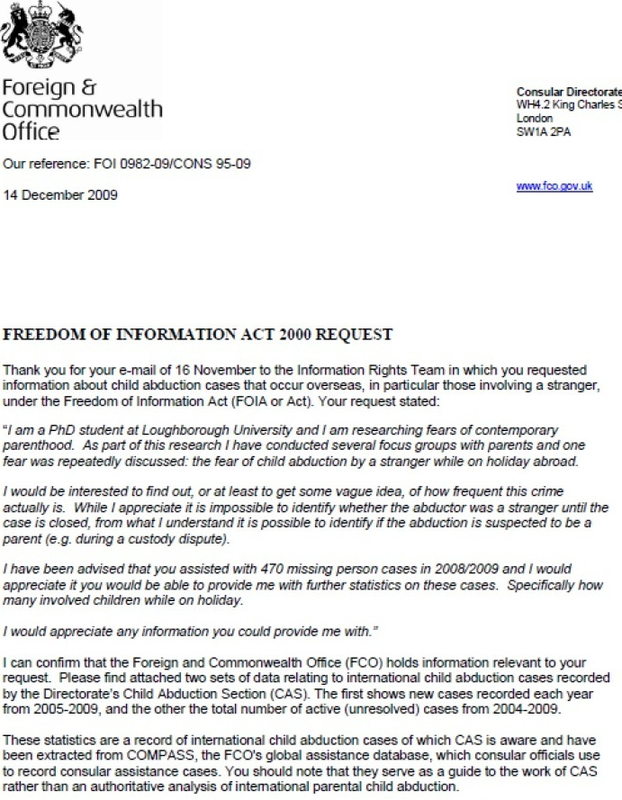 Furthermore, since all the services that I performed were official, the principle of State immunity is applied and it will be necessary to gain the consent of the United Kingdom authorities to waive that State immunity before I could be subject to the jurisdiction of the Portuguese courts and be able to give any evidence, whether relevant or not. The State immunity covering my official acts is that of the United Kingdom and not mine, and can not be renounced by me, but only by the United Kingdom", wrote José de Freitas to the judge of the Civil Court of Lisbon after having been notified, in a letter that JN had access. The police officer suggests that his witness statement should be instead requested through a rogatory letter or through the British Ambassador in Portugal. But subjected to prior authorisation by the English authorities, who have just set a tight regime of secrecy of the process in England.